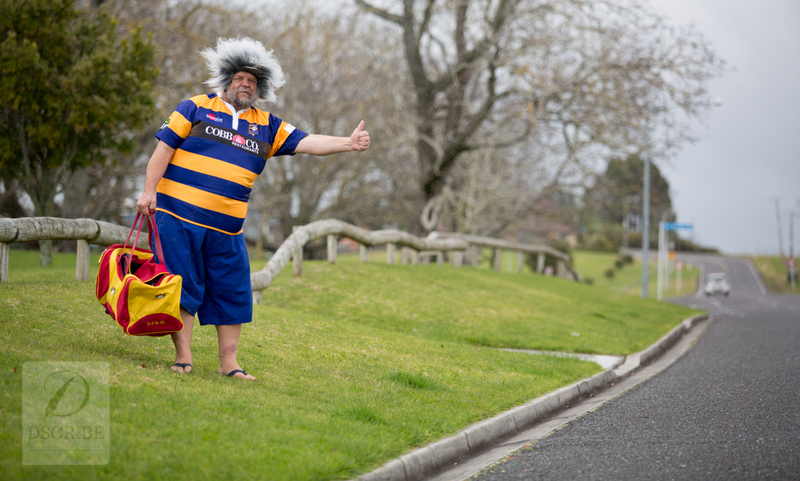 Bay of Plenty rugby mascot Hori BOP is hitch-hiking to Invercargill this week to catch the match between the Stags and the Steamers. Photo by Jamie Troughton/Dscribe Media Services. Bay of Plenty rugby mascot Hori BOP is celebrating the start of the ITM Cup rugby season with another marathon pilgrimage. 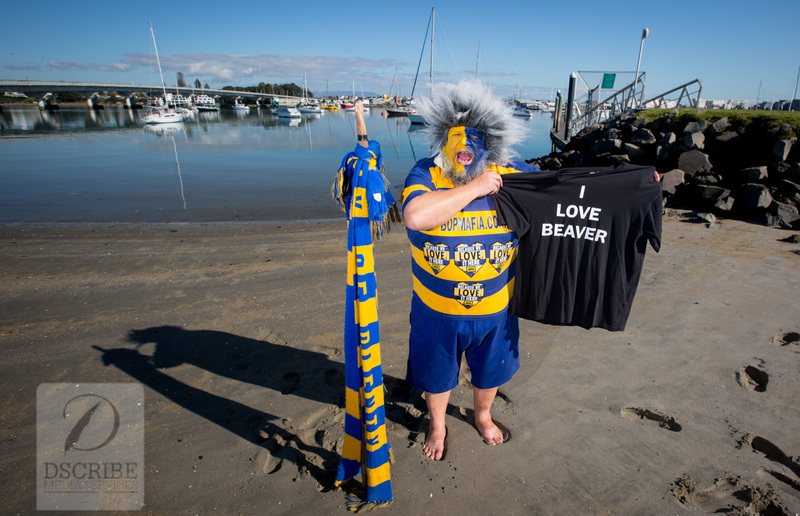 The alter-ego of Tauranga resident Terry Leaming is hitch-hiking 1500km to Invercargill – complete with over-sized ugg boots and sleep apnea machine – to catch Bay of Plenty’s match against Southland on Friday night. The trip comes two years after a similar ‘Hitching Hikoi’ to Dunedin to support the Otago Rugby Union’s financial woes, although this week also has special resonance for the Steamers fan. “A lot of people reckon the modern calendar started more than 2000 years ago but any true-blue Bay of Plenty supporter will tell you we’re now in the year 10 – as in, 10 years since we won the Ranfurly Shield,” Leaming explained. Bay of Plenty beat Auckland to claim the famous Log ‘o Wood for the first time on August 15, 2004, though they haven’t held it since. Leaming hopes his trip will help the team turn around their fortunes, after they were relegated from the ITM Cup Premiership last year. He’s also keeping a nervous eye on the forecast, with a cold snap hitting the deep south this week. Leaming is no stranger to cerebrally-starved stunts. On his Dunedin trip in 2012r, he was hypothermic after an ill-advised dip in Otago Harbour, while gee’s also swum across the Waikato River for the last three years to commemorate Stephen Donald’s World Cup-winning kick. Given the forecast, he’ll probably give Foveaux Strait a miss on this particular escapade, preferring not to detract from the rugby. Leaming will leave on Wednesday morning, hoping to arrive in Invercargill before kick-off at 7.35pm on Friday night.